Spicy tobacco leather shorts. 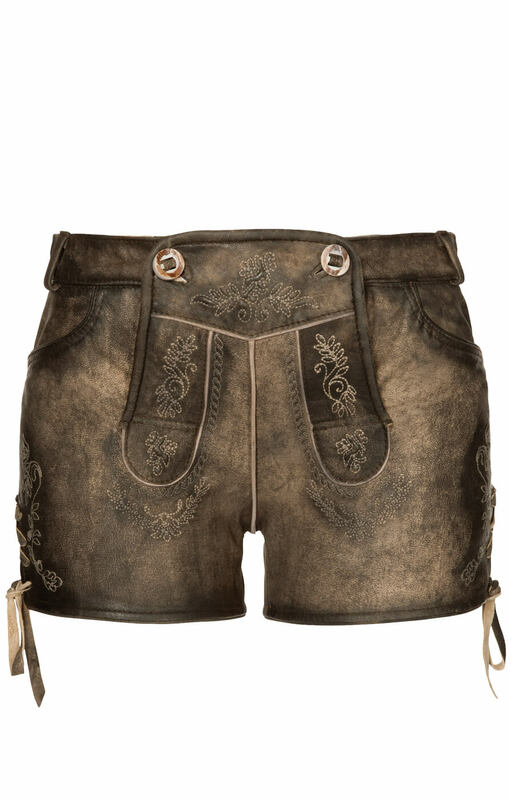 These shabby little shorts are made of genuine leather and are a hunter’s best friend. Not only do they sport deer antler buttons in traditional fashion on the bib, but they also don intricate stitches in the shape of a deer on the bib's hem. More stitching is revealed on the deliberately darkened and aged hems of the shorts. 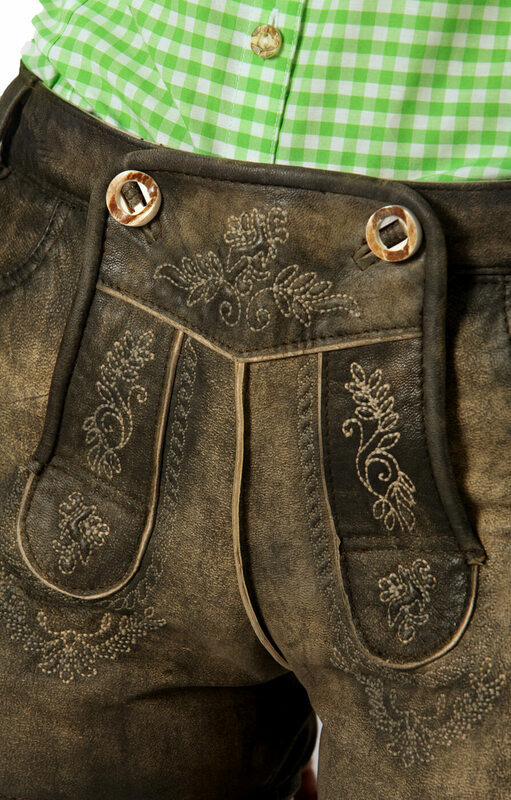 Edelweiss buds adorn the outer thighs, while twine meanders down the bib and toward the side pockets. The slim cut is very flattering, especially when leather lacing on the outer thighs and at the rear of the waist serve to tighten the leather perfectly on the body. Leder und Farbe toll. Leider viel die Größe sehr klein aus. Man sollte bei diesem Artikel wissen mindestens eine Größe größer bestellen zu müssen. Fällt nur sehr klein aus. Besser eine Nr. größer bestellen.